The Komunity Project is a division of Quiksilver, started and owned by Kelly Slater. 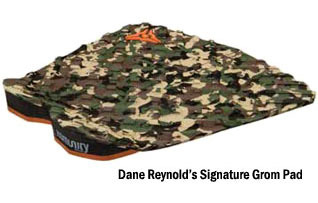 They specialize in surf accessories such as board bags, leashes, and traction pads. I have never had a strong opinion about what traction pad I use, but ever since receiving a Komunity traction pad for free awhile back I have stuck with them. I have used three of their traction pads since and have been very satisfied with their performance. All of the products are designed and tested by the pro surfers themselves. Those surfers include guys like Kelly Slater, Dane Reynolds, Luke Davis and Jeremy Flores. If these surfboard traction pads work for them, then they should work pretty well for you. 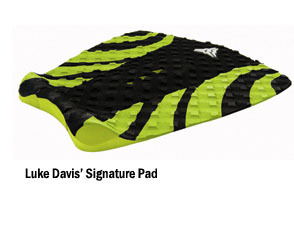 Surfboard traction pads among the different brands are pretty similar to each other. It’s hard to say that any one is better than the other. One thing I have noticed with the Komunity Project traction pads is that they last a long time. I have had one of my Komunity Project traction pads on for well over a year and it is still on the board. I have had a lot of previous traction pads peel off over time. Once a traction pad peels off the next one you put on never lasts very long unless you can get the surface really clean, which can be a pain. Another thing that is nice about the Komunity Project traction pads is that the company has a goal to give back to the community of surfing. 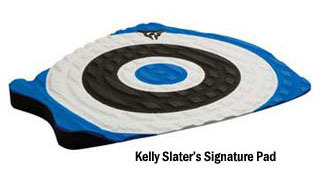 If you purchase a Komunity Project traction pad then you know that you are supporting a company that will give back to the industry and the environment.